The customer was unhappy with the state of their cloth. 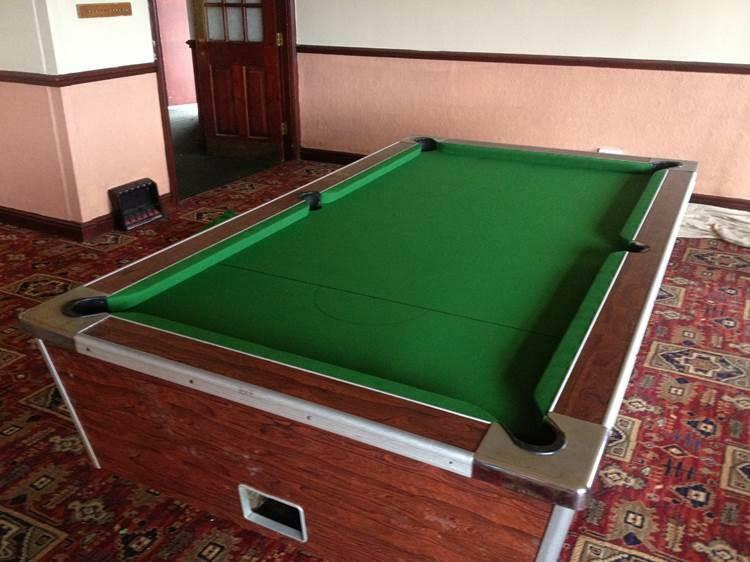 As you can see on the pictures provided the table was faded and stained in large areas of the surface of the cloth. The roll of the cue ball had also been effected by the wear of the cloth. 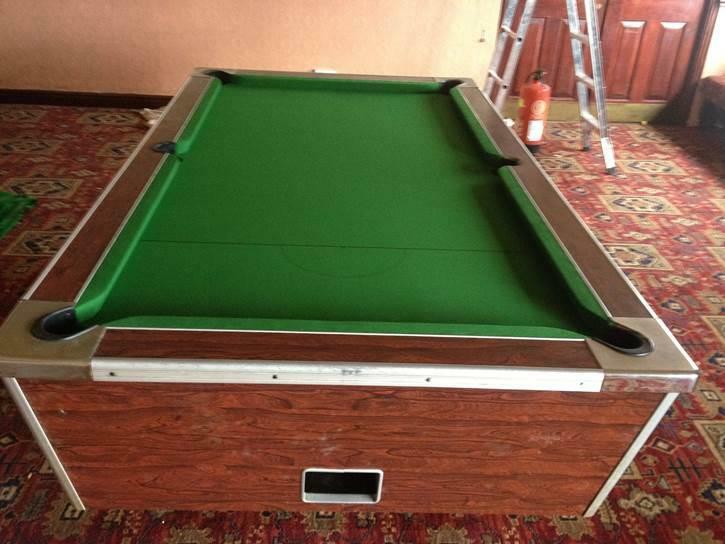 We recovered the Pool Table with a HainsworthClub – Greencloth. 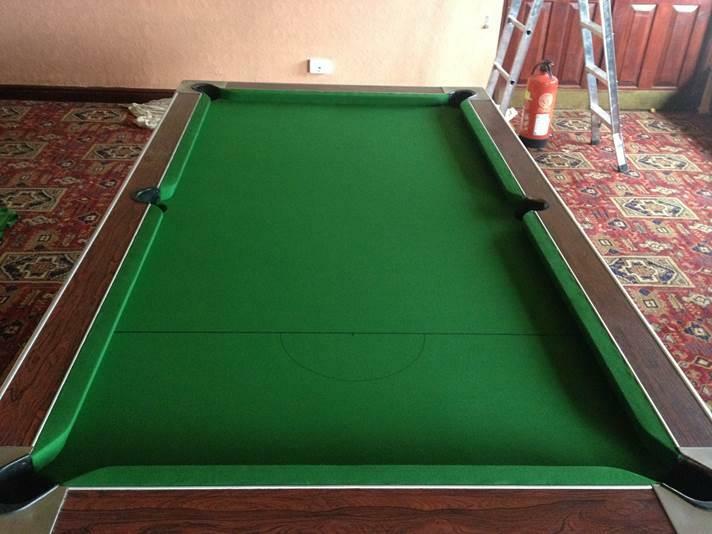 As you can see from the before and after shots, the cloth looked so much better after we had finished the job.